By the end of the year, the demand for downstream companies in the domestic chemical industry has remained sluggish. Market participants said that since the beginning of this year, the domestic chemical industry has been facing the dilemma of weak downstream demand and insufficient market confidence. At present, the effective market demand is still shrinking, chemical product prices continue to decline, most of the industry companies to sell inventory, recycling funds. â€œDemand has been sluggish for a long period of time, mainly because the enthusiasm of downstream factory procurement is not high.â€ Hu Wei, a member of the chemical division of Zhejiang Mingri Company, said that the demand for downstream manufacturers of chemical products in eastern China was weak, and some factories faced thin profits and semi-finished products were not sold. The difficulty of waiting for other issues, while the supply of enterprises in the upper and middle reaches is still relatively adequate, and the market inventory is relatively high. This is the main reason for the lower domestic chemical prices in the fourth quarter. "The domestic tightening monetary policy has reduced the operating rate of many downstream factories," said Hu Wei. At present, the government has chosen Zhejiang Province to issue local bonds autonomously in response to the financing difficulties of small and medium-sized enterprises. However, for a large number of small and medium-sized enterprises, funding shortage is still a major problem. It is reported that in the past from Christmas to New Year's Day, the international market had a strong demand for domestic Christmas gifts, and the production and sales of PVC and other chemical products would have peak demand. However, the market situation is not good this year, and the demand for packaging film and plastic film in the chemical industry is obviously lower than in previous years. In the market where the industry is generally weak and purchases and sales are not booming, industry players lack confidence in the future. â€œUpstream factory inventory pressure has been relatively large, market sales prices continue to decrease, traders also try to maintain basic sales inventories, obviously not optimistic about the market price.â€ Zhuo Chuang, information chemical analyst Qi Junjie said. At the end of the year, companies are mainly selling inventory and recycling funds, but this year they are particularly eager to perform. "A lot of companies are facing financial problems such as repaying loans and paying salaries at the end of the year. They can only seize the time and recycle funds when the current market situation is not good." On the one hand, there is a strong demand for funds for SMEs, and on the other hand, the domestic macro-control policy, which is still tight, has kept the industry from cooling off and the situation of market capital shortage will continue. Industry professionals generally believe that in the first quarter of next year, the domestic chemical industry will still face the problem of insufficient downstream demand, chemical product prices will continue to decline, and sales will continue to be poor. Recently, domestic macro-control policies have begun to adjust slightly, which may bring about some positive effects on the development of the industry. However, the overall price support for chemical products is still limited. 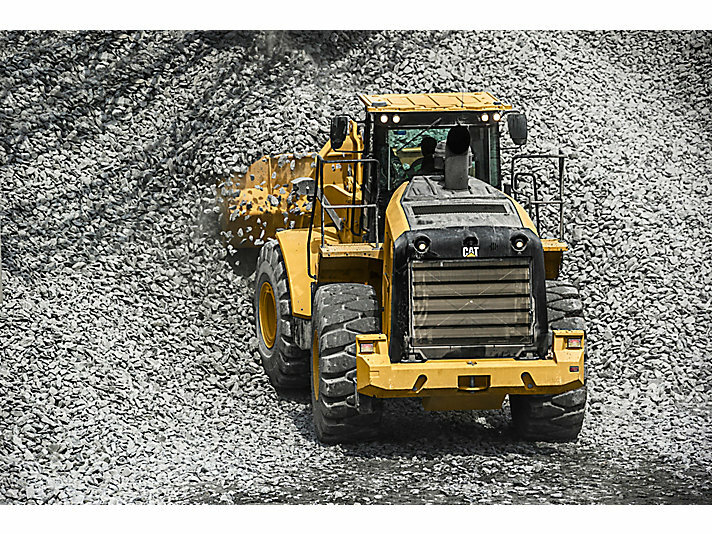 The new 966L Wheel Loader, with the 2017 product update, applies proven technologies systematically and strategically to meet your high expectations for reliability, productivity, fuel efficiency, and long service life. Meets China Nonroad Stage III and India Bharat Stage III emission standards, equivalent to U.S. EPA Tier 3 and EU Stage IIIA. Integrated rear vision camera enhances visibility behind machine to help operators work safely. Optional Cat Rear Object Detection increases operator awareness of the working environment which enhances site safety.